It was that time again...time to get an amazing new die from Lifestyle Crafts Spring 2012 Spring Core Collection. I saw this adorable pinwheel and had to have it! I love pinwheels...both of my kids love pinwheels...it seemed perfect. First I made a wreath - it was time to let the pine branches on the door go (yep, I will admit it...Christmas was still alive on the front door). 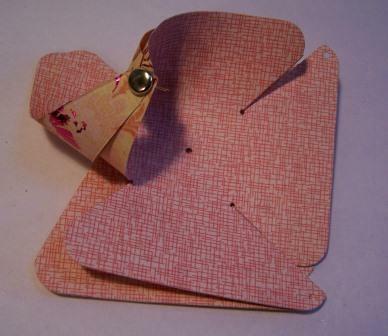 Paper (cardstock) - Solid paper or double sided paper works best - you will see both sides of the die. 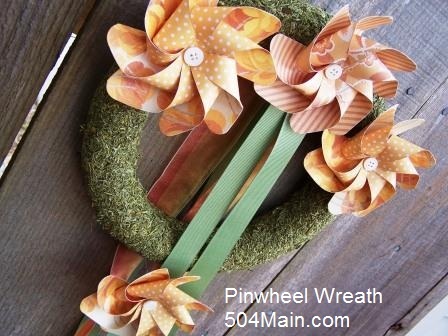 Place pinwheels to you liking and use a hot glue gun to affix them to the wreath. NOTE: I added on length of ribbon to the back of the center pinwheel and then also attached to pinwheels to the bottom of the hanging ribbon. I also applied to length of 2 different ribbons to the back of the wreath (optional). When Jules saw what I was making she asked if I would make them for her preschool class because it was her turn to be "child of the day (i.e., we bring the snack). So I decided to put together these pinwheels with some pretzel rods (we all happen to love those too). These treats are perfectly fun and give us a hint that Spring is in the air (although we have had amazing weather the last few days!)! 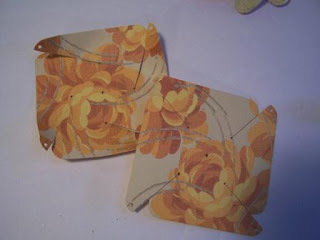 Paper/Washi Tape (I used it to cover the edge/end of my pinwheel stick and the entire stick) - much easier than painting. Pretzel Rods, candy melts, sprinkles (grab the HOW TO on the Pretzel Fries post - just don't break the pretzel in half) Pretzel food bag (available at craft stores). 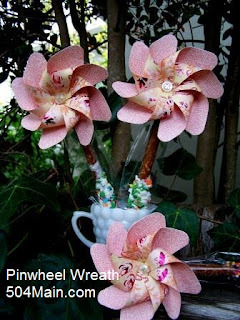 DIY IT: Pinwheels and Pretzels! Embellish your pinwheel with a button center (or use the cute flowers that are part of the die) and you are done! 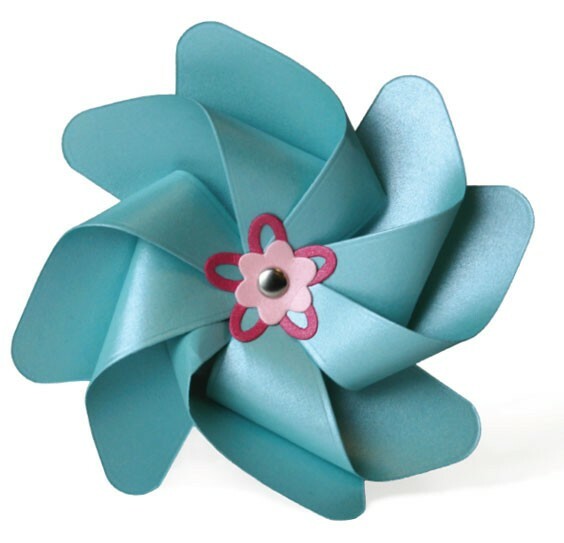 There ya have it super sweet pinwheels. 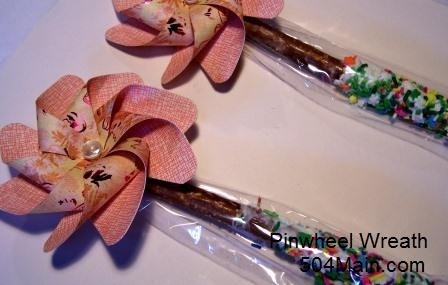 to the packaging of the rod and create a Pinwheel Pretzel. 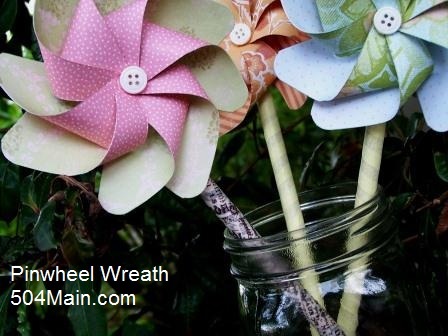 I have a banner and another treat in the works with these pinwheels that I will show you soon - I have a feeling it will be pinwheel palooza around here for awhile! 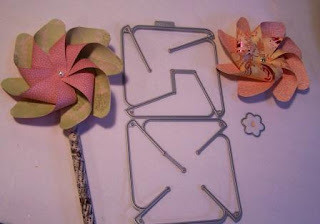 Don't forget, Lifestyle Crafts is having an AWESOME "I Made This" Giveaway through 1/31/12. You could win: $1000 Lifestyle Crafts shopping spree, Canon 60D camera, Mac computer, and Canon Photo Printer. 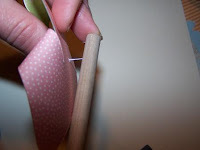 Go HERE for all the details and rules. 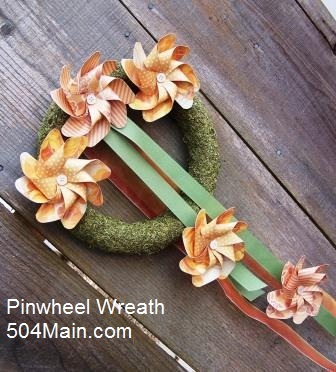 As always...you can get 20% by using the code "504MAIN"
So very cute! 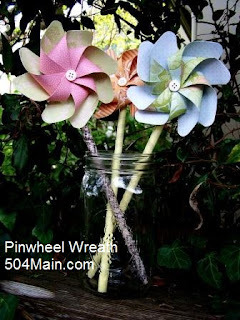 I love pin wheels! So spring looking! 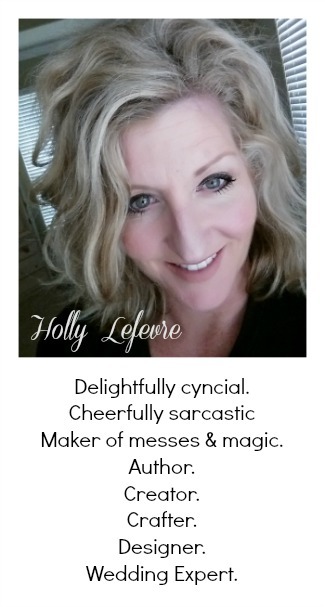 Soooo cute Holly!! 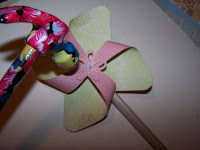 I love that pinwheel die - it's so perfect for Spring! 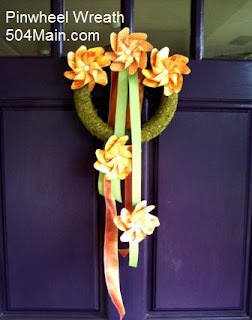 Your wreath is really cute and the pretzels are such a fun idea! Very cute! Just in time for Spring! Creative idea! Thanks for sharing.